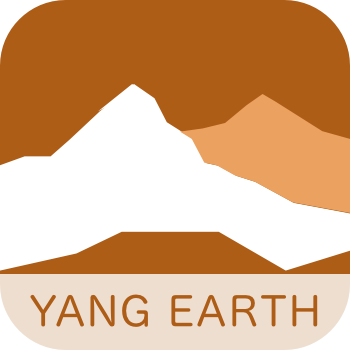 Yang Earth is represented by a massive solid rock or mountain. They are steady and reliable people on whom you can always count on to be there. Mountains are not easy to move so their main qualities are stability and support. Given how hard it is to move these people, they may become too complacent which makes procrastination one of their greatest enemies, unless there is some strong external force which will make them move. As they are represented by the mountain – Yang Earth is very strong and slow in decisions – they take their time. Everybody likes to tell their secrets to the mountain but they do not like sharing their own, so often Yang Earth may seem very mystical. However, once they get to know somebody they will open up and become rather chatty and fun. Furthermore, they often change their minds, which drives people around them crazy. They love to do things on their own and they take their time in laying the groundwork. As much as this is a good thing, it can backfire since Yang Earth people tend to procrastinate and they can be very stubborn about it. Yang Earth can achieve success on their own; they don’t need nurturing from others and they often don’t offer it to others. It is the mountain – it does not go to people, people come to them. Yang Earth doesn’t need anybody to develop their talents, they are highly capable to do that on their own. A mountain is self-sufficient, everything they need is already there. As long they don’t have to rely on others, and they are emotionally stable, they will strive at whatever they decided to do. To Yang Earth people, sticking to their personal moral code in their quest to do what is right is necessary for all decisions they make. Integrity makes up most of them hence they tend to second-guess their own decisions and at times, in their quest to choose the right thing, they make mistakes. Yang Earth people inspire trust because they put others first to the extent that they would rather change their ways when others find it difficult to adapt to what they want. This excessive sensitivity to the perception of other people often makes them weak-willed. They are prone to make rash decisions since emotions rule them in decision making. They tend to be stubborn and illogical since they don’t see reason as a top priority. Coupled with their fondness for contemplation, Yang Earth also values perceptions more than anything else and so they act based on their gut feeling, and being perfectionists, they often go around in circles which lead to more procrastination. A family is extremely important for Yang Earth people. If they have good support from parents and siblings, they can take on the world. Even if other parts of their lives are not doing so well, as long they can find peace within the family they will be fine. Besides family, a love relationship is another thing where they find their peace and purpose. If family and love life are supportive, they will be fully inspired and emotionally prepared for any challenges in life. Yang Earth is strong if born during the summer months, but weaker during all other seasons. If Yang Earth is weak Yang Fire (sun) is needed for support. When strong, Yang Earth will prefer Yang Wood (forest) and Yin Water (rivers) elements to balance them. In featured characteristic, we point out some special issues which are essential to understand and deal with Yang Earth people. Yang Earth people are like volcanoes, they hold their emotions deep down, but when those emotions become unbearable, they will explode, surprising everybody around. They need their space and pace, so one has to find a good way to deal with them, mostly on an emotional level because nothing else will work. Once they have their conditions and support, they can be highly creative and successful. Stomach, rib cage, and face. A balanced Yang Earth suggests the person has a hearty appetite and clear, smooth skin. A person with excess or deficient Yang Earth may suffer from stomach issues or skin rashes, especially on the face. Foundation stones of earth and mountain kings towering above. On top of you the rich soil rests, a bed for all living plants. And sprung from your heart the pure water trickles. Nature speeds past your worldly eyes. You are a force for all to bend and turn to suit. And never give up till success is at your door. You are to be depended on as only timeless mysteries are. Generation by generation, here you stand and here your are.